Gan Geokeng Hoe Hin Mfy., Ltd.
Gan Geok Eng Vapor Inhaler is powered by effective herbal ingredients. Put it in front of your nose, then take a deep breath. With the refreshing scent inhaled into your body, your stuffy nose, dizziness or motion sickness is solved automatically, medicine free! Wan-In Vapor Inhaler is lightweight and easy to carry. Put the worn-proof Gan Geok Eng Vapor Inhaler in your pocket, and you won't feel the weight, not to mention the worry of smears spread on your clothes. 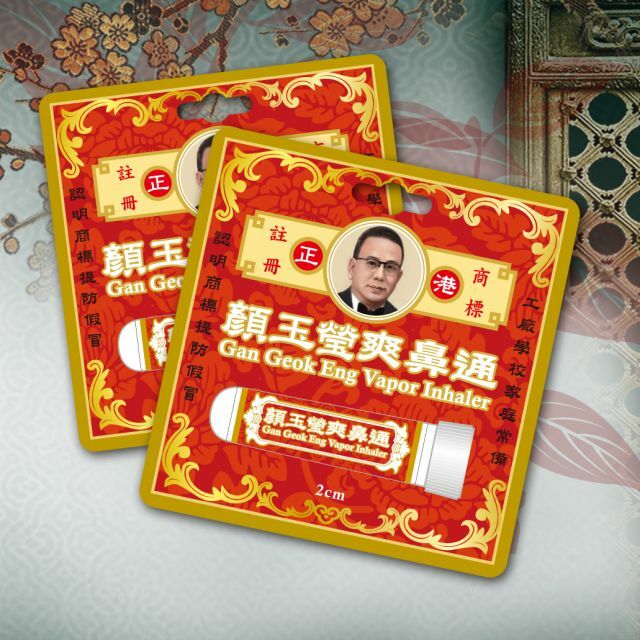 Gan Geok Eng Vapor Inhaler is made of natural herbs with the improved formula of the world-famous Gan Geok Eng Wan In Oil. The thoughtful design only allows its users to inhale the refreshing scent of Gan Geok Eng Vapor Inhaler without disturbing surrounding people.